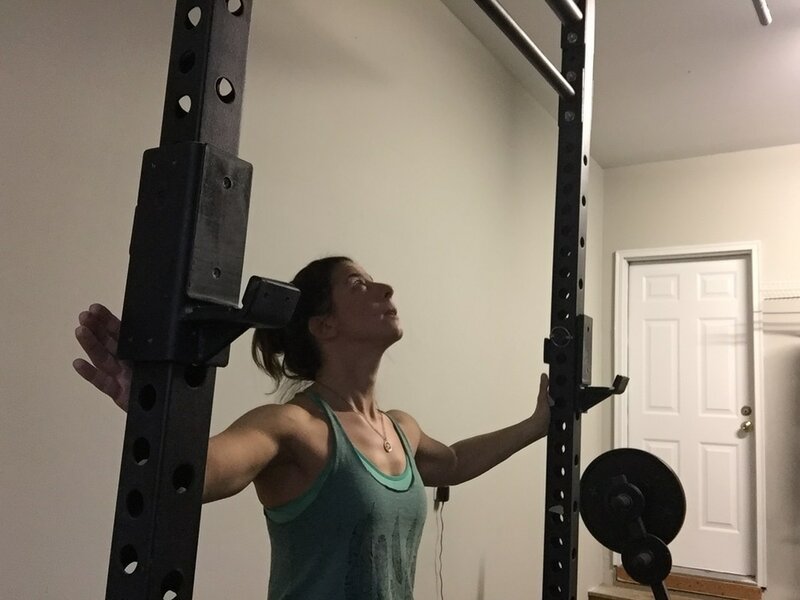 When one of my clients started doing chin ups and deadlifts, she set off with my plan in her hand to find the squat rack at her gym. She came back the next week to workout with me and told me that she just cannot find the squat rack or a deadlift platform at her gym. She told me she found the Smith machine, but no actual squat racks. I was befuddled. What kind of gym was this? Okay, I can perhaps understand the lack of a deadlift platform, but no squat rack? Many of the articles talked about how it was a non-intimidating environment and that people like how there weren’t big beefy guys lifting heavy. Well, okaaaaay, but my friends, hear this: being a lunkhead, especially as a woman, is awesome. When I’m in my gym, I grunt, make weird faces (one of my clients said she does the Elvis lip when she lifts heavy) breathe really loudly, and clank down on each deadlift rep. And it’s a beautiful thing. The clank is my favorite part of deadlifting. One of my clients chucks the dumbbells down after each set, like, “YO. I’m done with these guys” and it inspired me. I used to gingerly place them down. But no more, especially when I’m doing a few exercises in a row with a set of dumbbells. When I’m done, I am DONE. Embrace your female lunkiness. Because it means you’re working hard, lifting heavy, and understand the beautiful power of intensity during your workout. Intensity can mean the difference between working out for months and not seeing results and quickly gaining strength and definition. So friends, get under that squat rack and use it for all the fun things it offers, like chin ups, bench press, overhead press, and of course squats. There’s something empowering about standing in that rack and lifting the bar up. And if you do it silently, without even a forceable exhale, are you really fully exerting yourself? “Mommy, why are you breathing so LOUD? !” Paige said to me recently as I was doing a bench press set. “Because I’m working hard, and when I work hard, I breathe loud.” I said. She seemed to accept that, and went back to using my gliders as rollerskates. So please, for the love of all things iron and glory, deadlift and squat. Because the real secret is that the heavy iron is actually what gives you the “toned” look. No joke. And if you set off the lunk alarm or worse–get kicked out of Planet Fitness–my door is always open and the deadlift jack is always ready for you. Grunt as loud as you want.